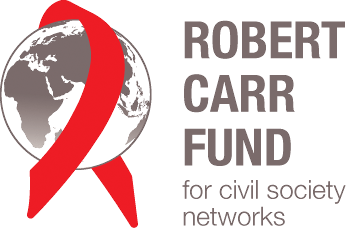 The Robert Carr civil society networks Fund is pleased to announce this request for nominations to identify two new representatives from civil society networks to serve as members for the RCNF International Steering Committee (ISC). • Establish and affirm the funding priorities of the RCNF. • Approve the annual work plan and budget of the RCNF. • Approve application processes and procedures as prepared by the FMA. • Approve recommendations made by the PAP. • Provide guidance on the monitoring and evaluation systems for the Fund and for proposals. • Oversee and support resource development activities to sustain the RCNF. • Oversee selection processes of (future) ISC and PAP members. • Review and approve conflict of interest and confidentiality policies drafted by the FMA for proposal review processes and PAP members. • Approve and provide guidance on proposal evaluation criteria developed by the PAP in collaboration with the FMA. • Provide strategic guidance on the development of a peer-led monitoring and evaluation system. • Adhere to the RCNF Conflict of Interest policy. ISC-members are willing and able to undertake at least one hour’s work on the ISC per week (but at peak times more), including reading documents and attending teleconferences, plus face-to-face meetings and consulting with their peers. The 2 additional members of the ISC will be nominated through an open call for nominations. These nominations will be reviewed and comparatively scored by a selection panel that is established by the International Steering Committee. The ISC will decide on the final composition of the ISC. The deadline for applications is July 7, 2014 and the RCNF International Steering Committee will make a decision on the composition of the ISC in the end of August 2014. Posted on July 1, 2014, in Africa, Career, Global, Social Entrepreneurship and tagged Call for Nominations: The Robert Carr Civil Society Networks Steering Committee, Civil Society Networks Steering Committee, International Steering Committee, ISC, RCNF International Steering Committee (ISC)., Robert Carr, the RCNF International Steering Committee. Bookmark the permalink. Leave a comment.